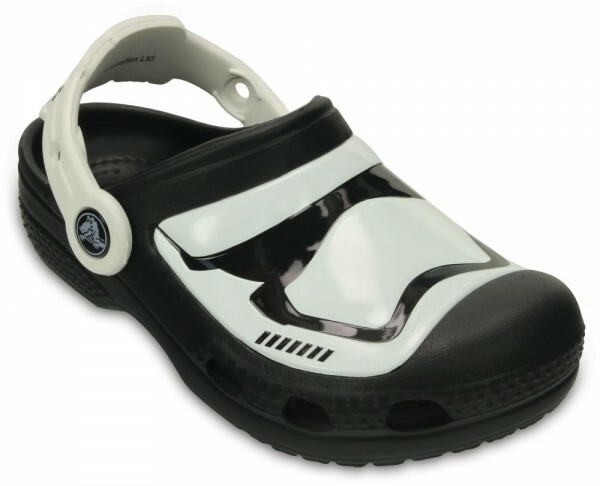 Product information "CC Stormtrooper Clog Kids Multi Croslite"
Never underestimate the power of the glow-in-the dark side. These special-edition Stormtrooper Clogs have a glow-in-the-dark patch on the uppers, along with bold black and white design inspired by the Stormtrooper helmet. Croslite foam construction keeps these clogs very light and cushiony, and the heel strap with Star Wars logo gives kids a more secure fit. Related links to "CC Stormtrooper Clog Kids Multi Croslite"
Customer evaluation for "CC Stormtrooper Clog Kids Multi Croslite"